By the way, I used one of my favorite time-saving cooking tips for this recipe. Notice the bag of white stuff in the picture below? Instead of chopping garlic and onion for every recipe, I do big batches at one time. Then, I add 1/2 cup of onion and 2 -3 cloves of garlic (both finely chopped) to individual storage bags which are then dropped into a larger freezer-safe bag. Note: You can add vegetables, such as potatoes or green beans, to the slow cooker to round out your meal. However, I made a quick batch of garlic broccoli right before serving. This would also be great with mashed potatoes. Heat large skillet over high heat for 5 – 7 minutes. 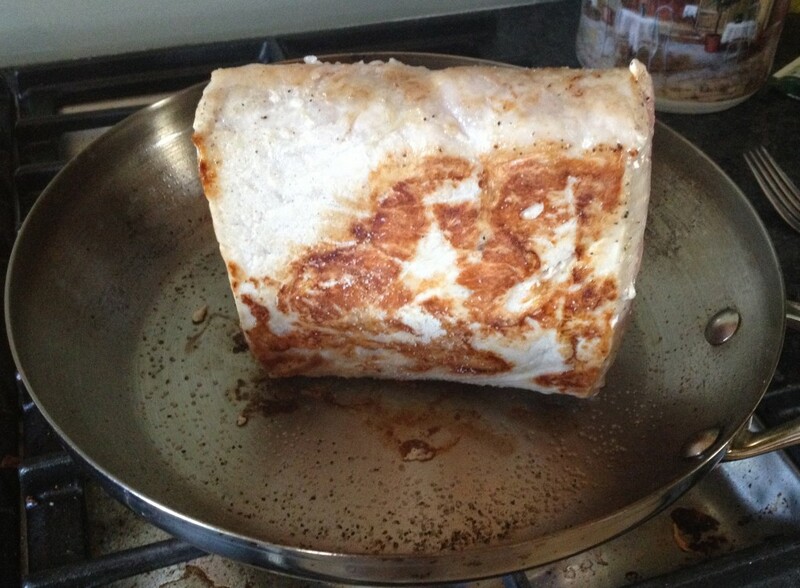 Once pan is really hot, add pork loin and reduce heat to medium-high. Sear the meat without disturbing for approximately 2 – 3 minutes. 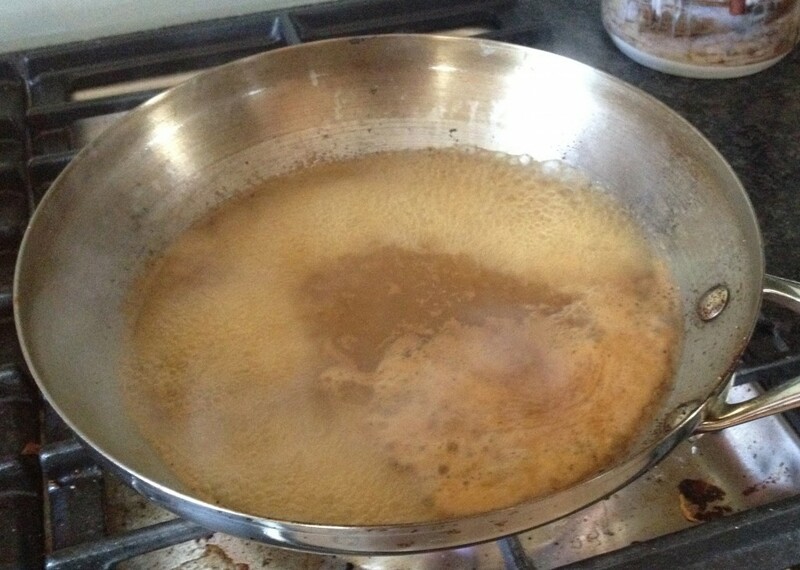 (You want a crust to form on the meat, which will lock in juices and make the meat easier to turn). While searing, season exposed sides with salt and pepper. Turn meat and repeat searing process on all remaining sides, including the edges. Add 2 cups apple cider, onion and garlic to slow cooker. 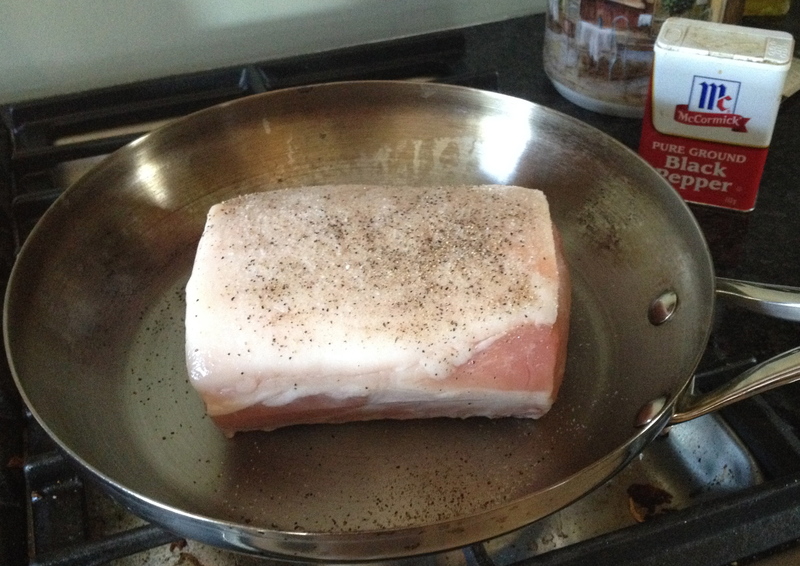 Add the seared pork loin, then season with the nutmeg, cinnamon, salt and pepper. Over medium-high heat, add the remaining half cup of apple cider to deglaze the skillet. Scrape the browned bits of pork off the bottom of the pan, then pour the liquid into the slow cooker. Cook on high for 4 hours or low for 8. 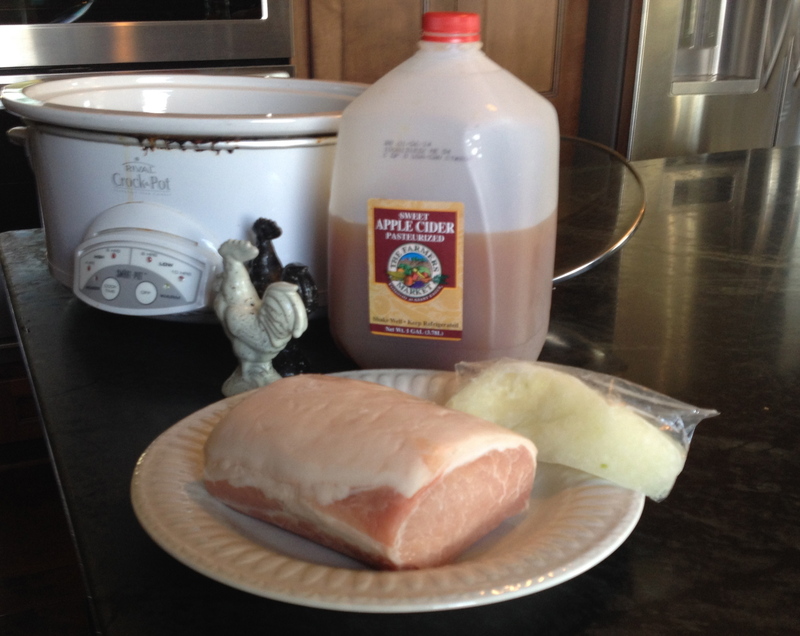 To serve, drizzle juice over the pork loin and add your favorite side dish. As I mentioned earlier, this tasted even better as leftovers the next day. The juices developed a much richer flavor after they had a chance to meld over night.